IRVING, Texas – The recent announcement about the formation of the Alliance to End Plastic Waste was welcomed news to the Plastics Pipe Institute, Inc. (PPI). The North American trade association representing all segments of the plastic pipe industry and its members believe the new initiative will help to solve another significant problem aside from eliminating plastic waste. Of the 30 companies involved in the formation of the Alliance, 12 are PPI members. “For decades, our members have been capturing the value of discarded plastics by using it to make plastic pipe,” he stated. “Plastic milk bottles and detergent bottles have been recycled and incorporated into agricultural drainage pipe since the 1980s. 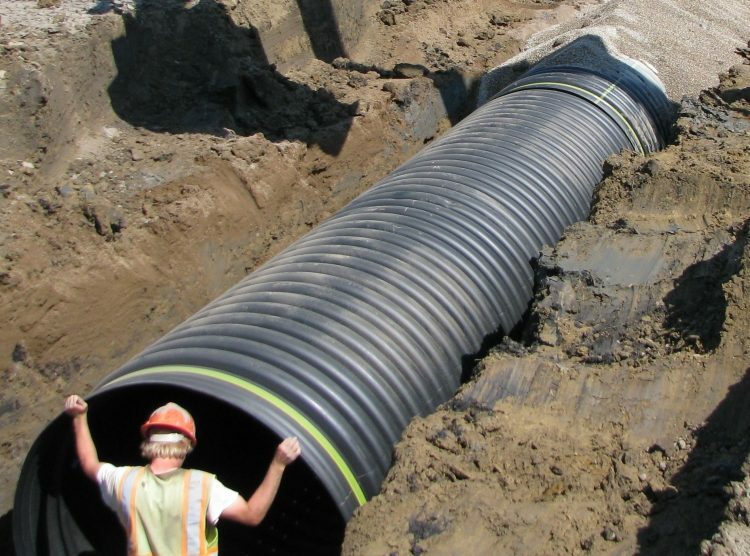 Today, we are working with research firms and the American Association of Highway Transportation Officials (AASHTO) to produce storm water drainage pipe incorporating post-consumer recycled plastic for use in highway culverts. “Our industry currently processes 25 percent of all post-consumer HDPE bottles – mainly from liquid detergent products – and converts them into products used in underground infrastructure. These bottles and containers that originally had a 60-day shelf life are now converted into a product – pipe – that has a 100-year service life. But there’s not enough to meet the demand. While this might be problem for pipe manufacturers, it is a golden opportunity to bring the goals set out by the Alliance to the next level, and answers the question ‘what to do with all that increase in waste due to the success of the Alliance’s programs?’.